The final coat of topdressing sand was applied to the greens yesterday. The heavy coat of sand protects them from winter dessication. 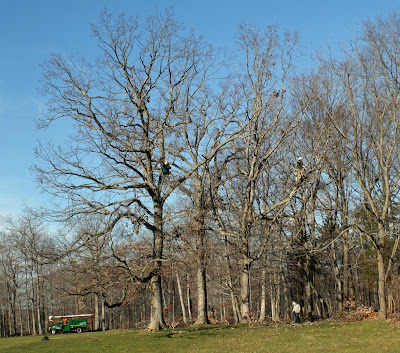 The tree company is still working hard to prune the damaged trees created by Storm Alfred. 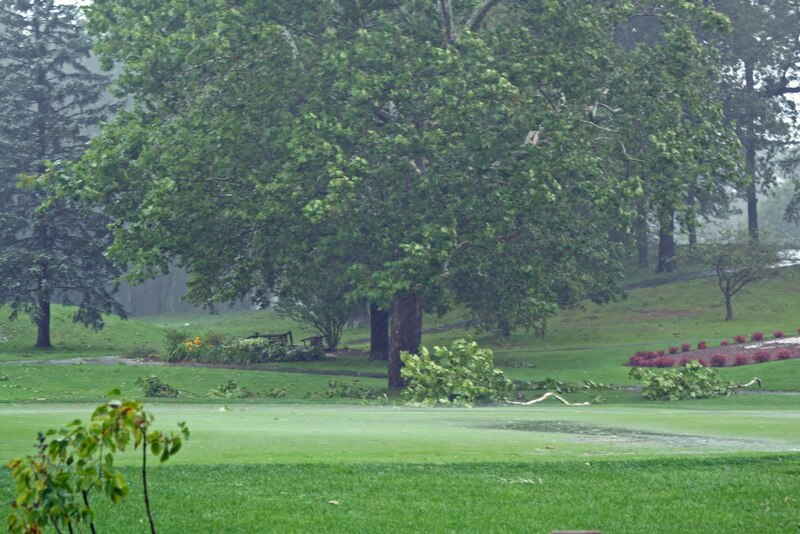 The extensive damage left an incredible amount of hazardous situations throughout the "in-play" areas on the course. We will continue work on these areas until we are confident we are providing a safe environment for our players. We started deep-tining the greens today. 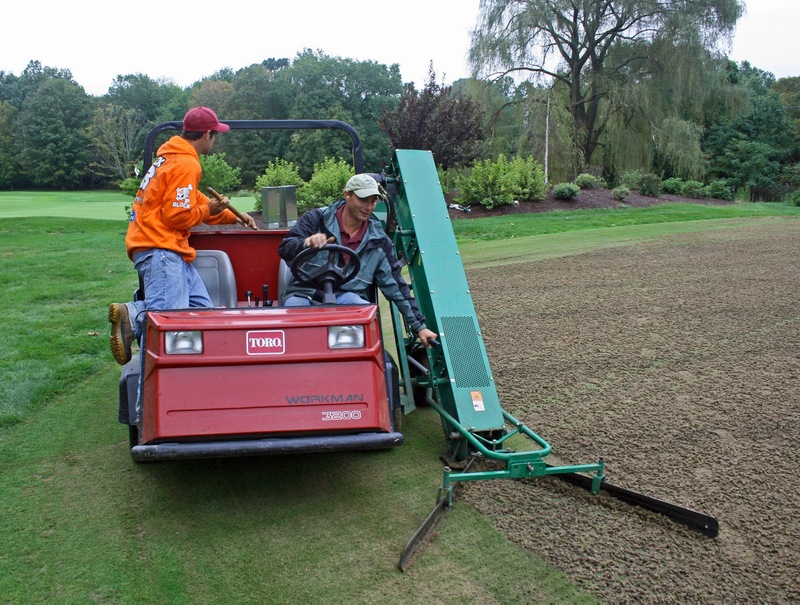 Deep-tining is an important maintenance practice which relieves compaction, improves drainage and increases oxygen levels in the root zone. We are using 1/2 inch solid tines that penetrate to a depth of six to seven inches. Once we have completed the greens they will be rolled to reduce bumpiness. The Farm's CC continues to experience moderate temperatures for this time of year. 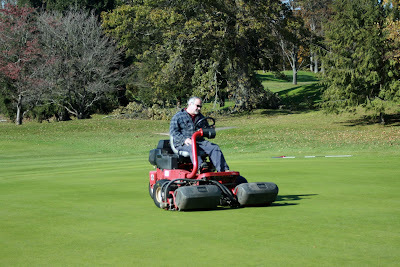 We are going to be preparing our greens for closing over the next couple weeks. We will start with deep-tine aerification. 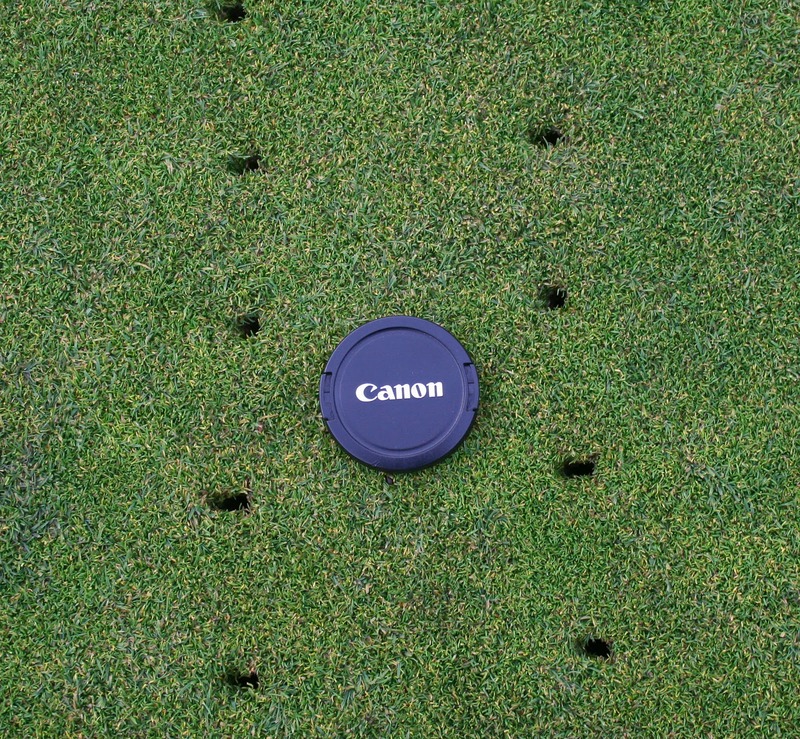 Remember that we still had excellent putting conditions after this practice last year (see... 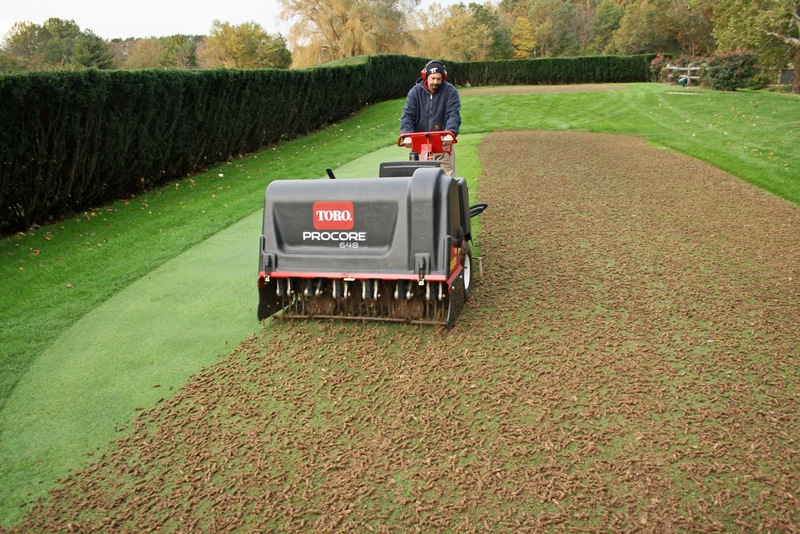 Deep Tining Not The End of Great Greens). The second step is the application of plant protectants to greens and tees. Our last step is to apply a heavy coat of topdressing sand to the greens. When topdressing has been completed the greens will close. 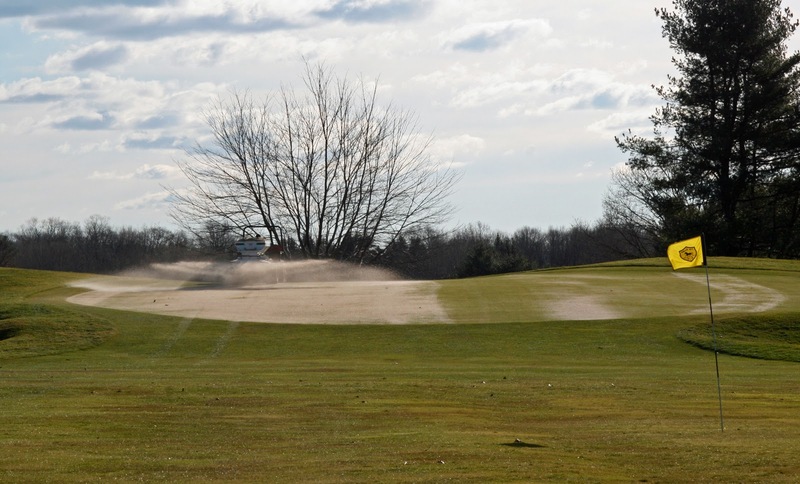 The timing of topdressing is dictated by the ground freezing. At this point I don't see anything in the long range forecast that indicates a ground freeze. It looks like we will be playing golf for a while! Below is the re-print of the USGA's Northeast regional update. It is hard to believe it is mid November with the Thanksgiving holiday right around the corner. 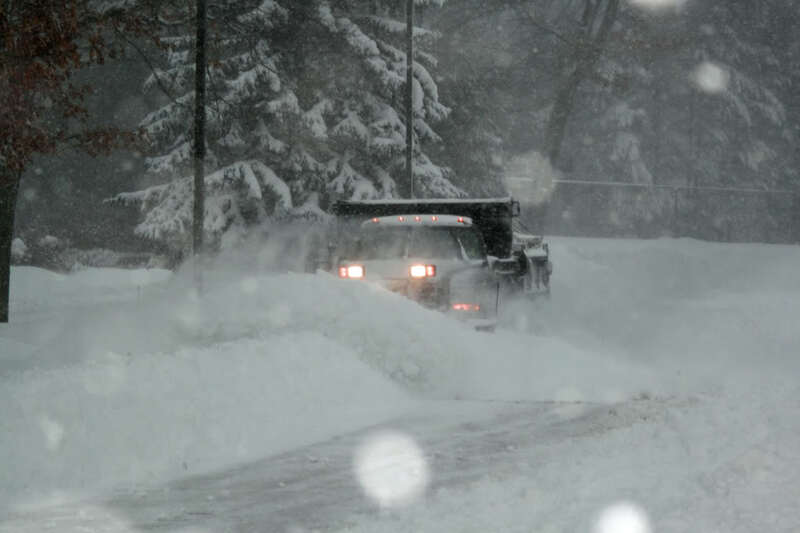 This year provided heavy snow, spring flooding, 100 plus degree temperatures, a tornado, an earthquake, a tropical storm and hurricane, and a freak winter storm has many of us wondering: what’s next? 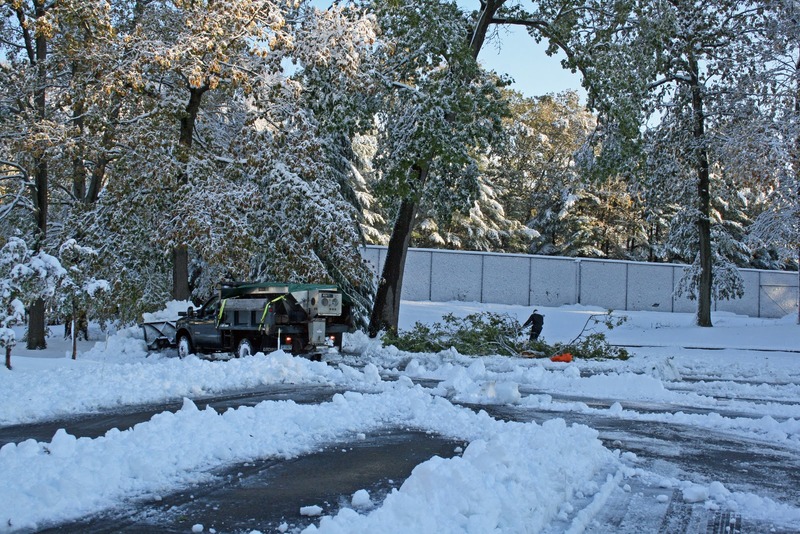 To say the extreme weather has taken its toll on the Northeast states is an understatement. The physical, emotional and financial strains have been difficult. The landscape in many areas has changed forever, and repairs and clean-up will continue for a long time. But life goes on and so too the preparations for the inevitable winter weather that is ahead. 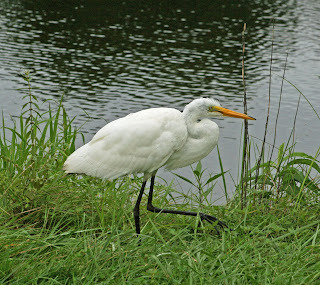 Late fall is a time when the grass is supposed to gradually acclimate to cold temperature. During this time we hope the plants are exposed more consistently to temperatures at or just below freezing temperatures during the day. 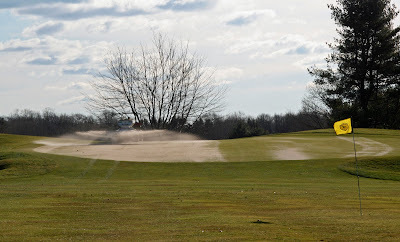 Turf growth rates will continue to decline in the next few weeks, and there should be a gradual transition towards the purpling and khaki colors associated with winter dormancy. Maximum cold temperature acclimation is achieved in early winter when the plants are exposed to colder (below freezing) temperatures. Some areas have experienced colder temperatures already, but temperatures have not been consistently cold enough yet to make managers comfortable that the turf is ready for what lies ahead. 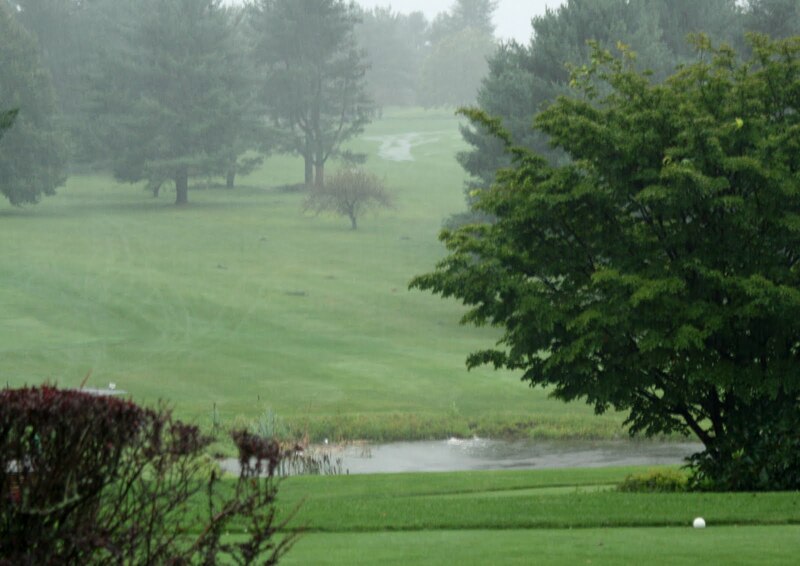 Those who utilize cover systems to protect annual bluegrass from cold temperature injury are being challenged by the warmer-than-usual temperatures. Installing the covers too early will prevent the plants from fully acclimating to the cold; waiting too long risks headaches associated with a significant frost layer or a flash snow storm. 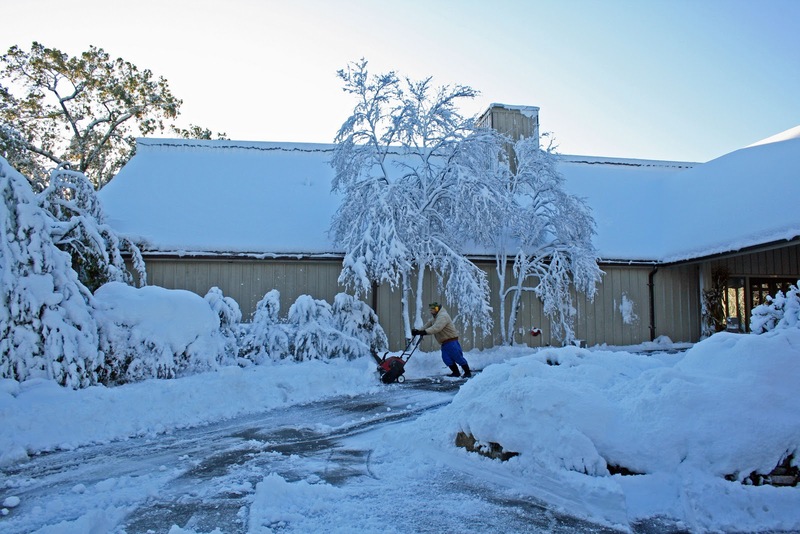 Managers utilizing covering systems are encouraged to wait until a colder and more consistent weather pattern sets up in the region. 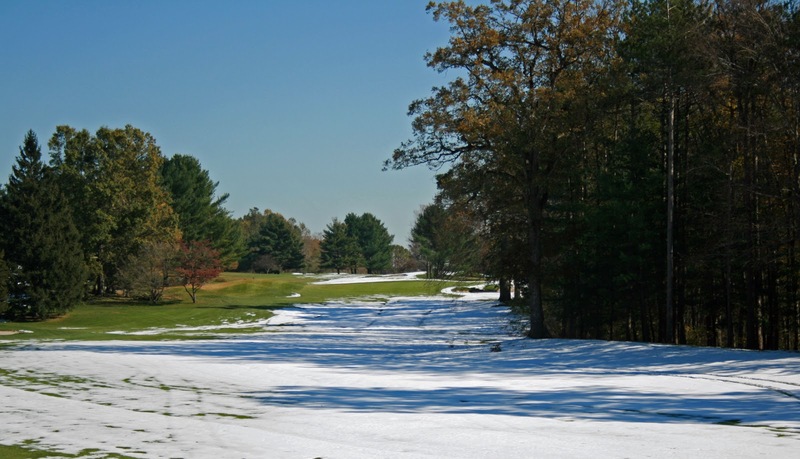 That may not be until December in central and southern parts of the region, but courses further north are probably closing in on the time when covers need to be installed. Waiting an extra week in my opinion is worth the risk. Now is the time to develop temporary greens that will be used for winter play. Temporary greens are never popular with most golfers, but are the best means to protect the primary greens after the turf is dormant and there is frost in the ground. 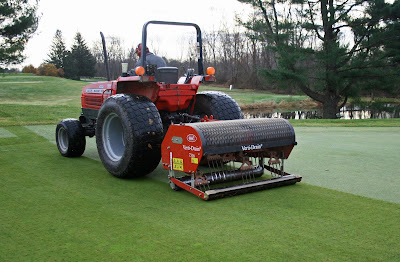 Take advantage of the warmer weather to topdress and roll the temporary greens, the winter golfers will appreciate it! 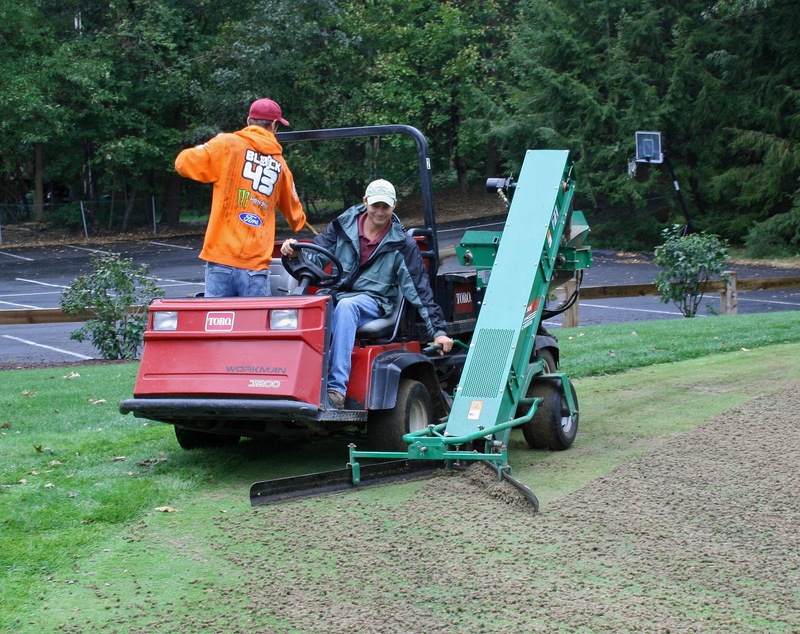 Most, if not all, aeration practices have been completed by this time. 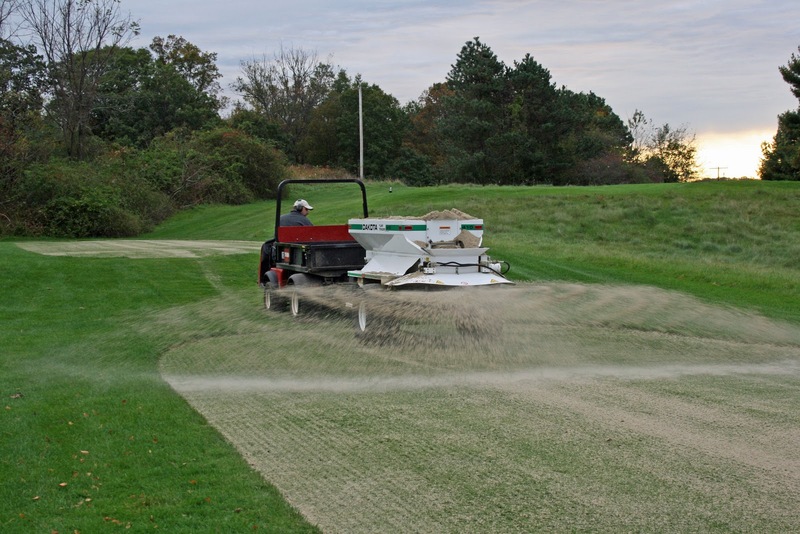 Late fall topdressing also has gained popularity as a means to apply more sand to playing surfaces without disrupting play or damaging mowing equipment. The late season topdressings may also protect the plants from wind desiccation and warm the surface more quickly in spring. You are fooling yourself, however, if you try to use the late fall application to compensate for limited or no topdressing in season. Sporadic topdressing with heavier rates of sand creates distinct layers in the root zone and does not produce the homogeneous soil mix provided with more frequent and light topdressings. Avoid dragging or aggressive brushing once the turf is dormant. 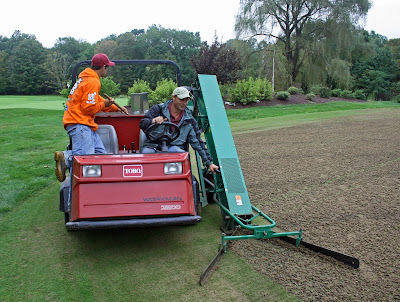 Finally, consider dimple seeding the greens prior to the final dressing. The extra step will not require much additional labor or cost, and can provide new bentgrass seedlings in spring. 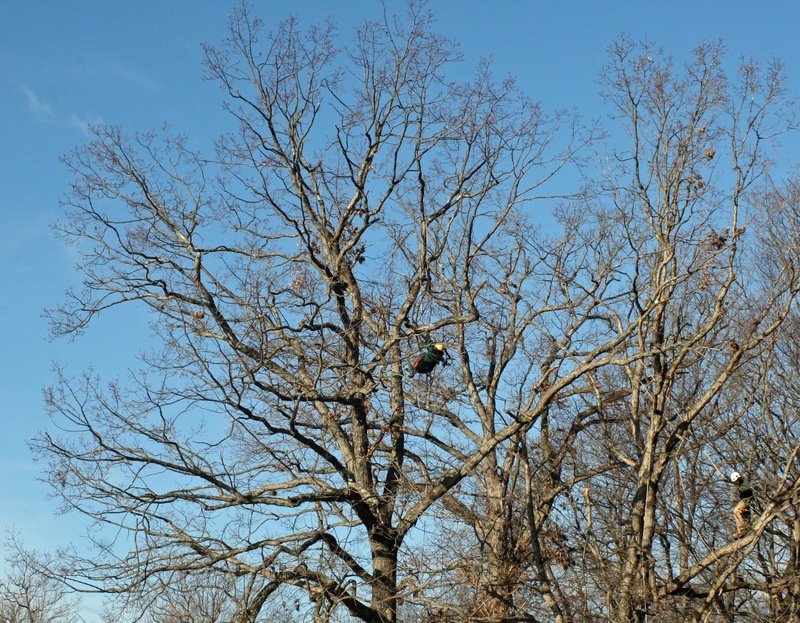 Late fall also is a good time to evaluate your tree plantings. The October snow storm probably culled most of your weak trees or severely damaged those with susceptible branching. Use this time to evaluate the condition of the trees and look for poor branch structure and external signs of internal decay. 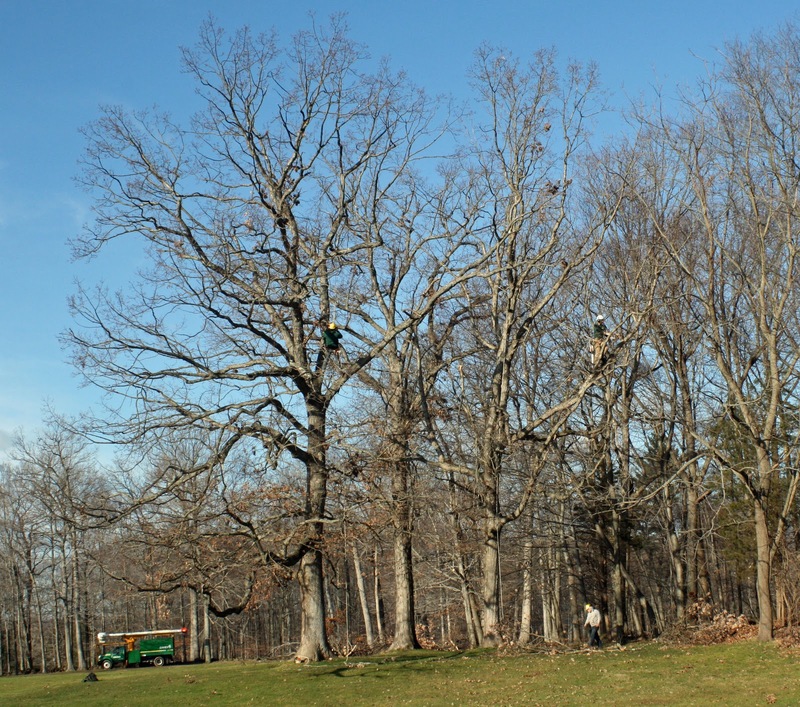 Trees shading playing areas or encroaching into sight lines or play corridors should also be noted so that action to remove or prune the trees can be taken in the next few weeks or over winter. The Green Section Northeast Region thanks you for your interaction and support this season, and we hope that we have been helpful to you in this year of extremes. We wish you all a relaxing Thanksgiving holiday and let us hope that the winter ahead is a little more kind and gentle. We will have the front nine open tomorrow, Saturday. Carts will be available. The back nine will remain closed for the weekend due to the excessive tree damage. We hope to have the back nine safe for players early next week. 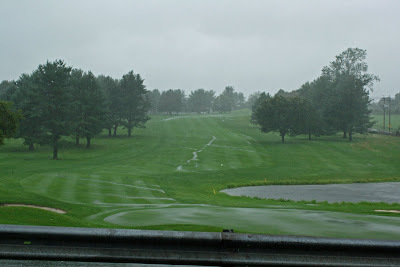 When Will The Course Re-Open? 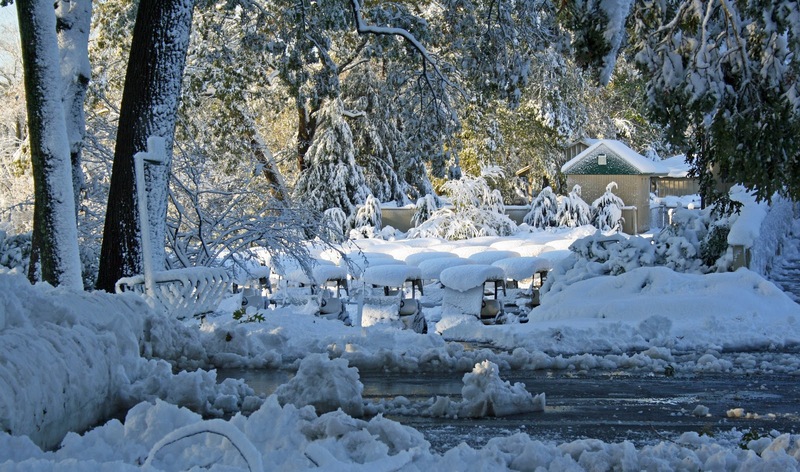 It's hard to say how long it will take for the eight inches of snow to melt. I'm guessing that 75% has melted in the four days since the storm. Once the snow has melted, the ground needs to dry enough to support maintenance and player traffic. We can't clean things up until it is dry enough. One of the things working against us is the low angle of the sun in November. Many areas of the course are in the shade all day long. 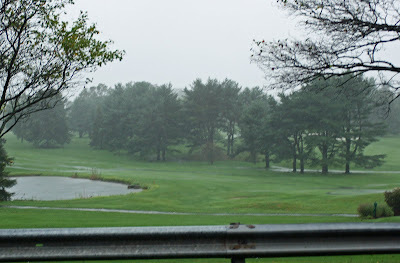 The below picture of #1 fairway was taken at 1:30 PM this afternoon. Notice the amount of fairway that is in the shade for the entire day. We will do everything in our power to get the members back on the course as soon as possible. You have to love the guy! Jim approached me and offered his assistance. I gladly accepted. He's now one of "the guys". "I can lift two of these over my head!" 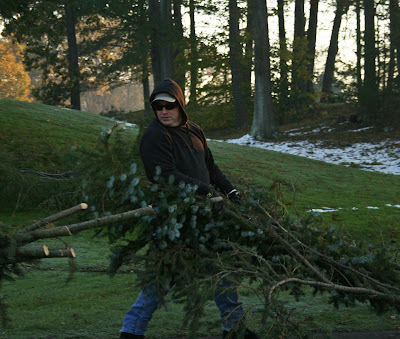 We even put Sean to work! Superior Rental Stands By Their Product! We rented a twelve inch wood chipper from Superior rental in Southington to help us with the clean up of Storm Alfred. 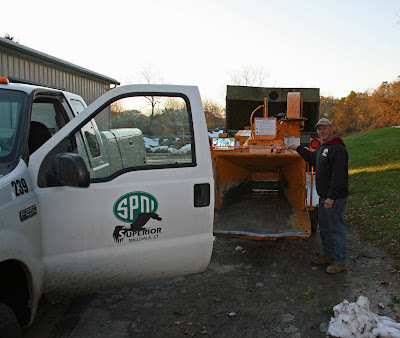 The chipper was working great and we were definitely putting it to the test! We had a question about the equipment and they sent out technician Randy Perzan first thing this morning. He inspected the chipper and made sure we were good to go. We accomplished a huge amount of work today! At day's end we had a concern that we might have a problem with the piece of equipment. I called and Randy again responded immediately. He was on - site within twenty minutes. He immediately fixed what was a minor issue and we are ready for another day of clean up! I'm not big on "testimonials" for companies but I have to say... These guys are good! Randy Perzan Making Sure We Are Set For Tomorrow! The maintenance staff is working hard on cleaning up debris from the storm. 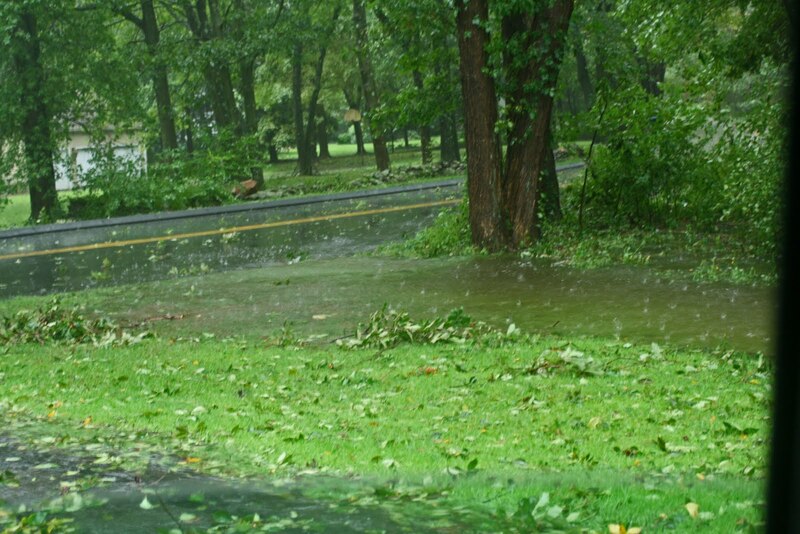 There is much more damage from storm Alfred than from Hurricane Irene. 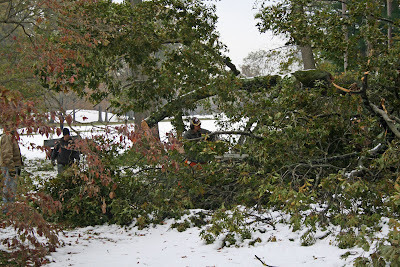 Our only focus at this point is to cut and chip damaged trees to limit the amount of outside work that will be required by licenced tree professionals. 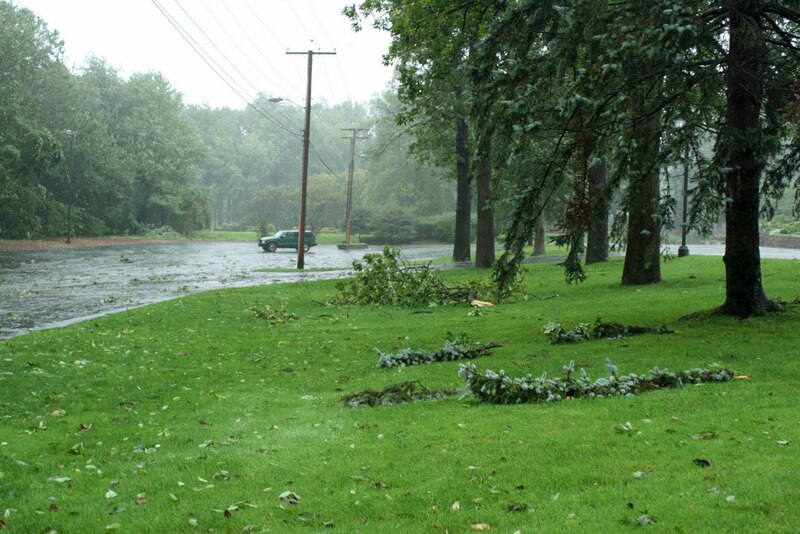 The damage from Irene was mostly in the form of debris that was blown onto the ground. Alfred has left us with considerable damage that is dangerously high in the trees. The course is unsafe and we need to address that issue once the snow melts and the selected tree company can rectify our safety concerns. 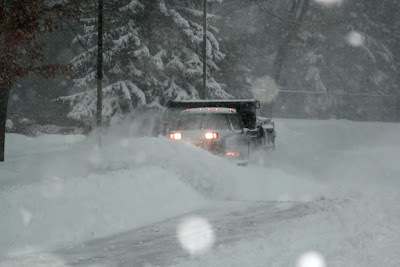 In the mean time, our staff will continue to do everything they can to reduce the amount of outside service assistance. I will continue to keep you updated on our progress. Storm Alfred Shows His Teeth! What else can Mother Nature throw at us this year! It took us a while to even get to the maintenance facility this morning. 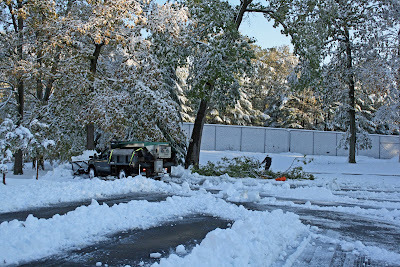 We had a tree down in the driveway and had to clear it before we could get the plow truck out. 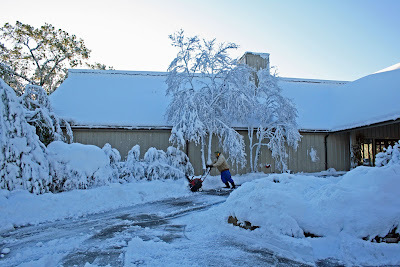 The maintenance staff is well on their way to getting the clubhouse plowed and open for business. "Neither Rain, Nor Sleet, Nor Snow, Nor wife's "Honey-do" List Shall Keep us From Our Appointed Round." I guess this storm will not start as rain after all! 12:50 pm... Looks Like I'll be Plowing Soon! Winter Storm Warning in October? WHAT ARE WE IN FOR? Get your round in early today! 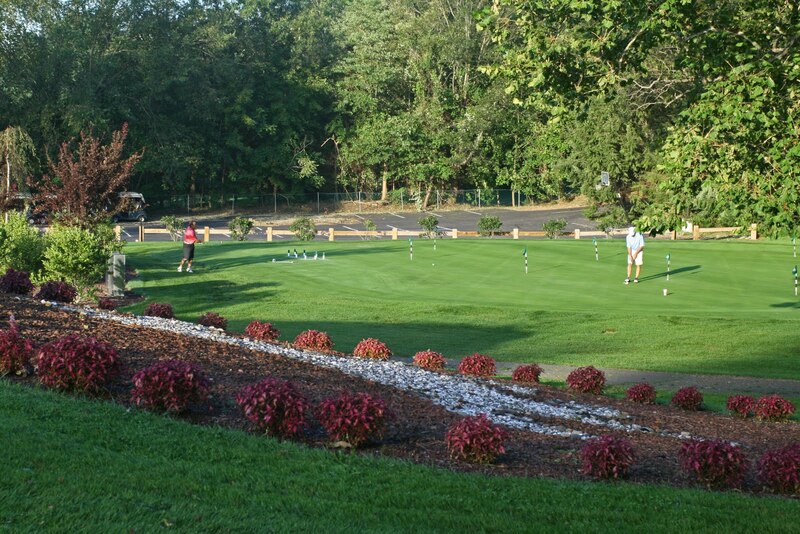 We are open and the course is in great shape! ﻿The course will re-open as soon as the snow melts and ground conditions are acceptable! 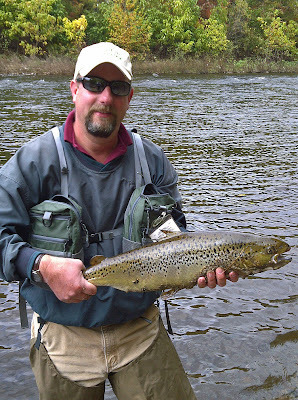 Maintenance Staff Goes Fishing After Tournament Starts! The maintenance staff has some die-hard fishermen. A few of them decided to hit the Naugatuck River on Friday afternoon after preparations for the Men's 2-day Member Guest were completed. They kept sending me pictures and video of their successful afternoon. 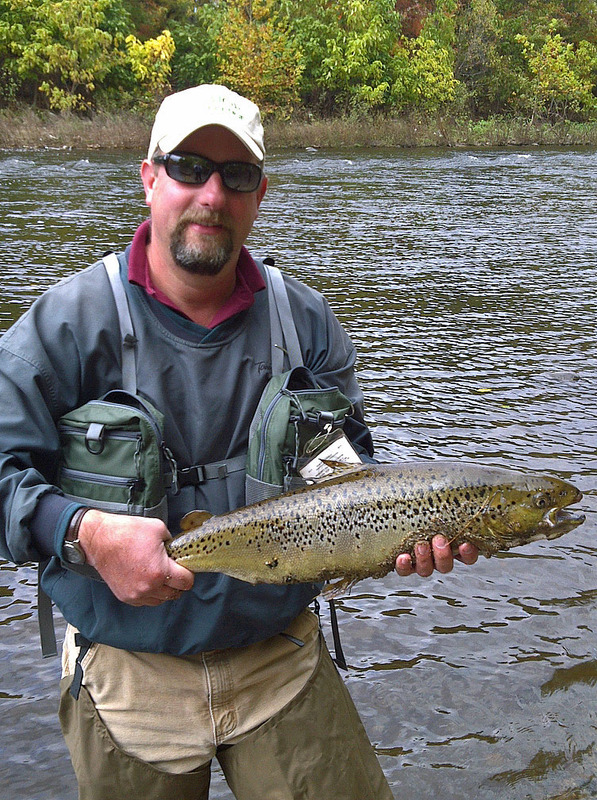 The river was recently stocked with salmon and these guys know how to catch them! We are aerifying tees this week. We hope to have the front nine completed today. Tomorrow's forecast is for rain so we are unsure of how much more we will be able to accomplish by week's end. 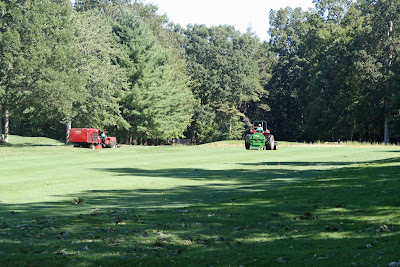 The Men's 2-Day Member Guest starts on Friday, so we will be shifting gears toward preparations. We are puting the finishing touches on aerifying #17 green today. That is the last one! 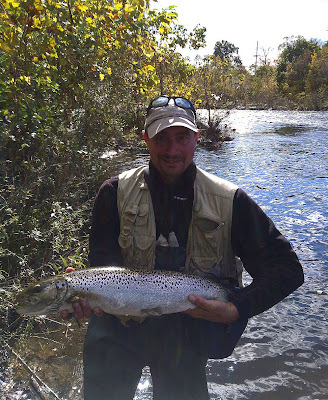 If the weather is good over the next week and a half, it will speed the healing process. 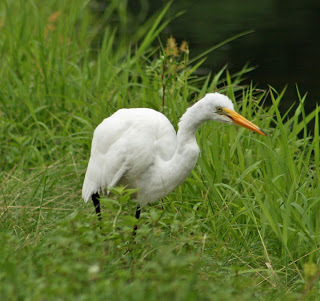 I found this terrific video by Pace Turf. 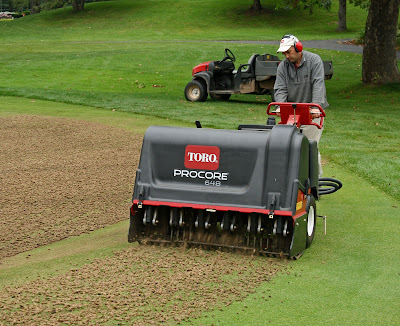 It gives an excellent and detailed explanation of greens aerification including its benefits to both the turf and the golfers. Eighteen Greens Aerified & One to Go! We took our shot this morning and it worked out. We beat the rain! We were able to aerify greens #10 & #11. We also got the initial topdressing down. We are now knee deep in heavy rain. One inch so far and it's only 1:45pm. The rain will help wash some of the sand in. Let's hope this stationary low moves out soon or we are in for days of unforcastable, periodic rain. Only one green remains to be aerified... #17! Weather Co-operates Enough to Complete Sixteen Greens! We lucked out today and were able to finish sixteen of our nineteen greens. We will still do our normal light topdressing one week later to smooth out any bumps that remain. 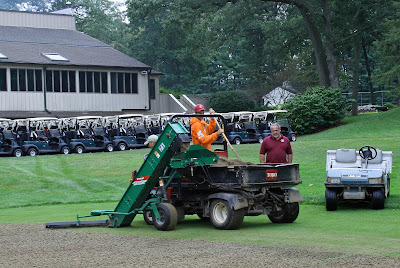 Aerification of the remaining greens... #10, #11 and #17 will take place as soon as the weather permits. The good news is, we will just make them temporaries for the time necessary to do the job. In the mean time, the course will be open as normal, unless weather dictates otherwise. Standard operating procedure! The weather is co-operating so far today. Punching the cores is the easy part. Even with the early showers today, we will still accomplish all the core punching we had planned on. 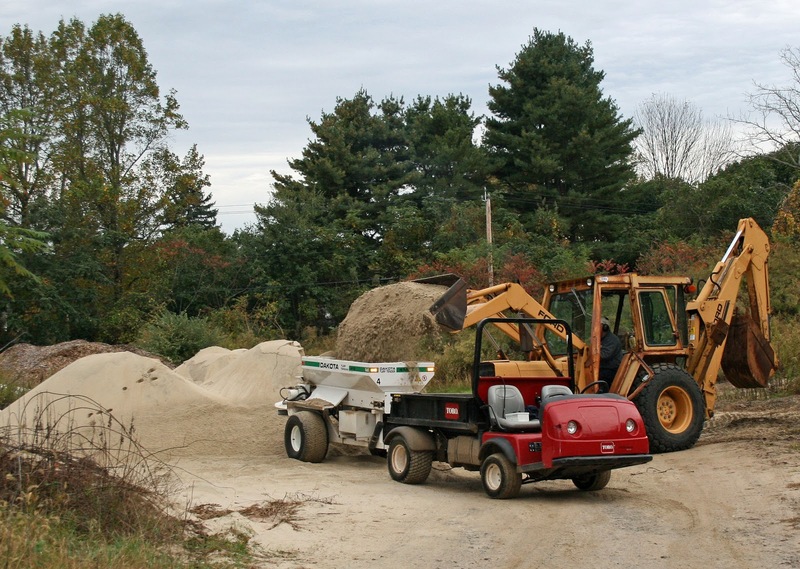 Our long-term success relies more heavily on topdressing. Successful topdressing of the holes is completely reliant upon dry weather. 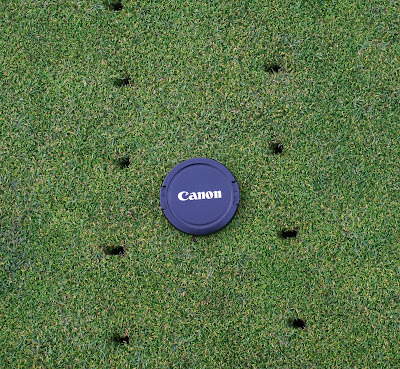 Filling of the holes is important for quick recovery and for agronomic reasons. 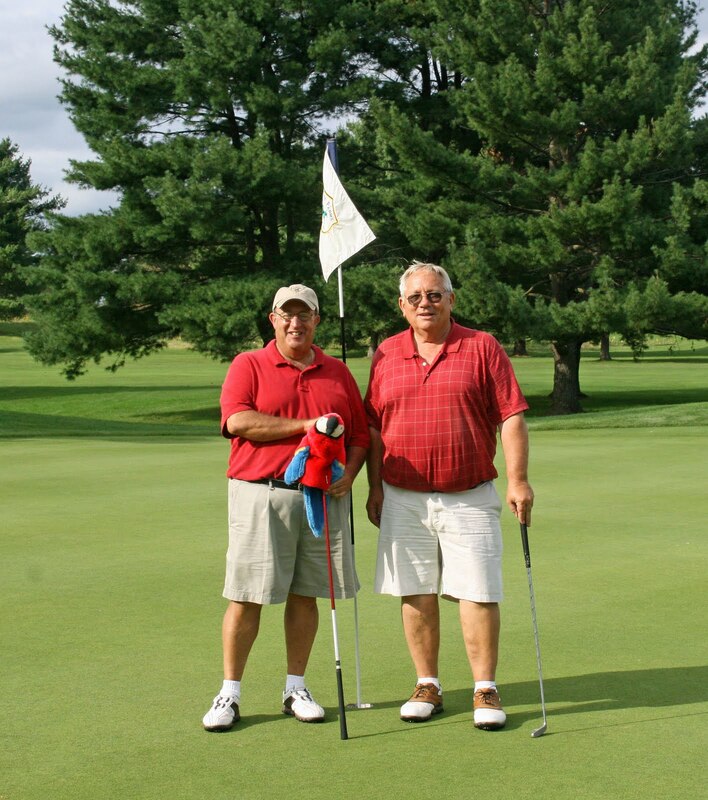 Congratulations To The Winners Of The Men's Fall Member Member! Thanks To The Maintenance Staff! It's been an interesting year and the maintenance staff has not missed a beat! 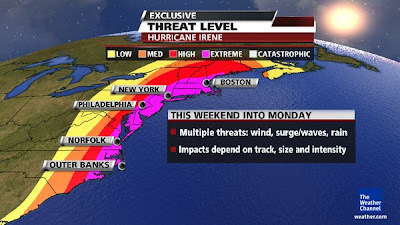 The "icing on the cake" is their performance this week dealing with Hurricane Irene. The course was closed Sunday during the weather event and Monday for cleanup. 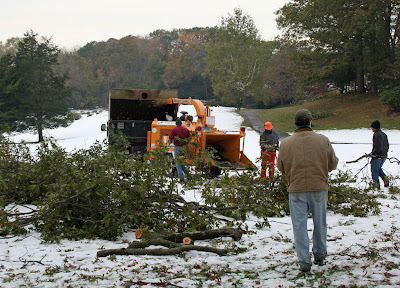 We opened for member play on Tuesday knowing those that played would still have to deal with chain saws, blowers, sweepers and more. 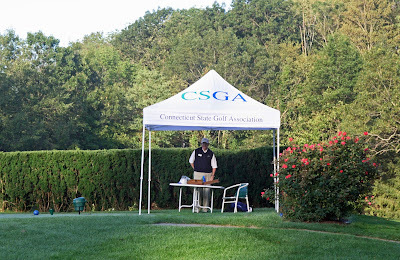 Wednesday we hosted the delayed first round of the CSGA Mid-Am and we haven't looked back. 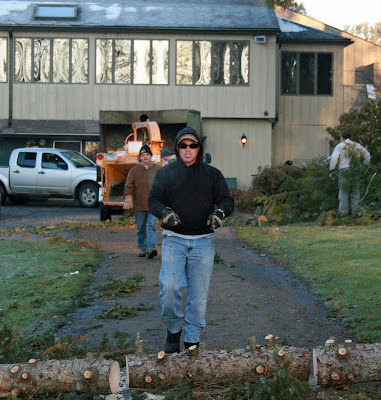 We still have to accomplish a large amount of debris cleanup inside the woodlines, brush chipping and tree work that can't be safely accomplished "in-house". We will chisel away at it with our reduced staff. Remember, we have now said goodbye to summer staff (3 less employees). The maintenance staff is mostly comprised of veterans. Yesterday we bought them a pizza lunch to express our thanks. Thanks go out to Sean for insisting on this! Green and Gounds Chairman, Barry Burke, made it a point to attend and share his thanks with the staff. He really made them feel like they are appreciated! He shared stories of his experiences in his line of work and made them understand what it may feel like to think you go unnoticed until something goes wrong. He was incredibly motivational to say the least! I and my staff are lucky to have an eleven year chairman who donates his time like this and really cares about the club and the people that make it run. We row the same boat! It took two days of "dawn-to-dark" hustle for us to get the course ready for our members and the 24th CSGA Mid-Amateur tournament. 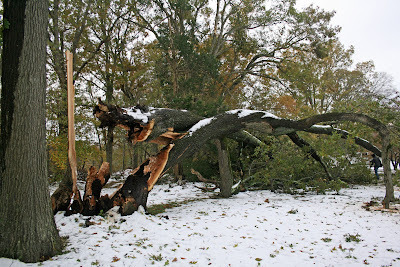 Hurricane Irene certainly gave us a test. 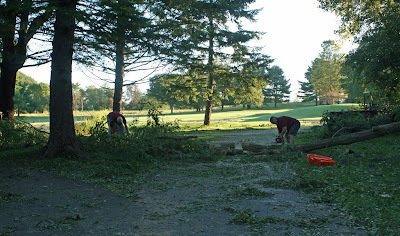 The course was open for member play yesterday but they had to deal with our chainsaws, blowers sweepers and mowers. The mid-am tournament was supposed to be played yesterday and today but Hurricane Irene made it impossible to accomplish that. Instead, the first round was played today and the finals will be played Wednesday, September 7th. I am very proud of the maintenance staff for piecing the course back together and giving today's players an excellent venue to play. We completed a massive amount of cleanup and mowed most in play areas. Woodlines still had heavy debris. I'm very proud of the staff's accomplishments. The greens rolled at a smooth 10.5 feet today. A major feat, considering. They were triple cut on Tuesday and double cut and rolled today. They would have been better but they are still soft from the five inches of rain. The best part of our storm preparation was drying the course out well in advance. It was hard as a rock. I am actually seeing wilt in some areas this afternoon! 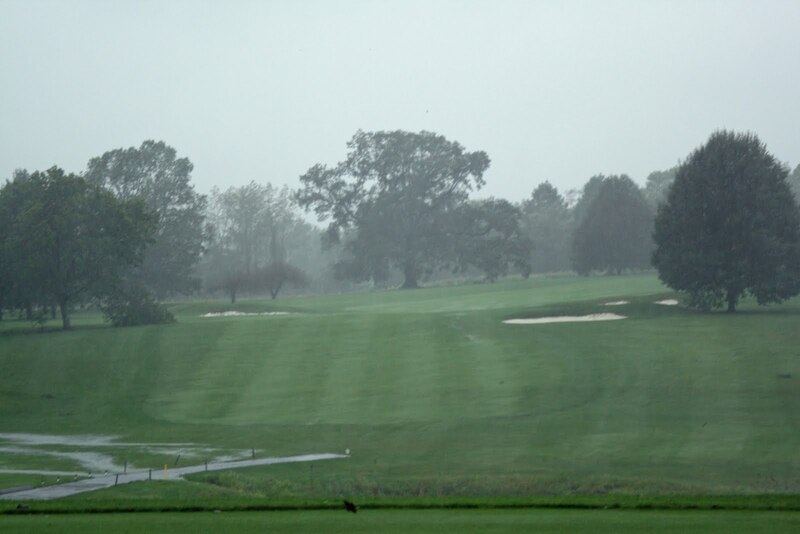 The course will be open tomorrow morning for member play. The CSGA Mid-Am tournament will not be played here tomorrow. It will be played Wednesday, August 31st and Wednesday, September 7th. The front nine will open at 9am and the back nine will open at 11am. 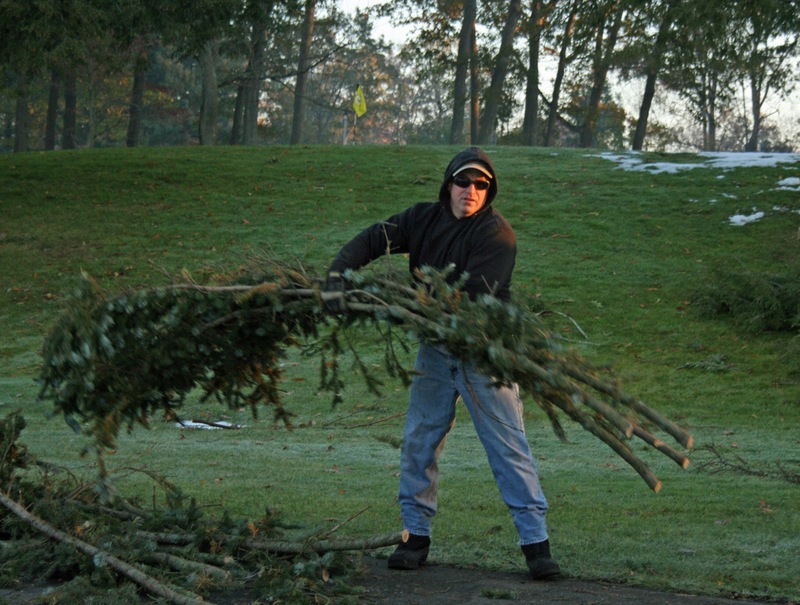 This should give the maintenance crew enough time to complete the tasks necessary for play. Substantial debris on the course needed to be cleared before normal maintenance and course preparation could resume. Debris clearing was our only focus today. So far so good! The storm is weakening as the eye approaches The Farms CC. I made a safe perusal of the property from Parker Farms Road and the clubhouse area. I see small debris and branches down but nothing major. 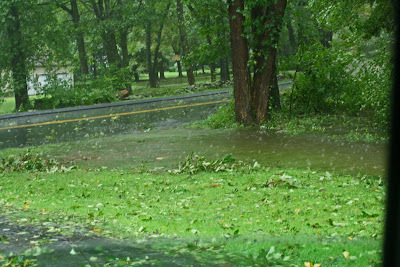 Heavy rain totalling five inches so far. The only trees down are around the maintenance facility and have not caused any damage to our buildings. I am not going on the course until conditions are safe! The course will definitely be closed tomorrow and I will continue to update you. We are as prepared as possible on the course. 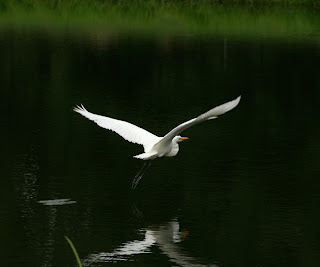 It is time to ride out the storm and see what Monday brings. 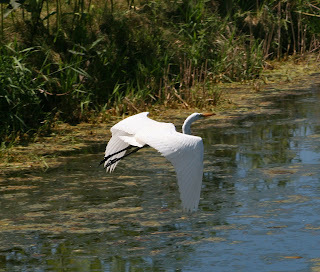 I will send out a course update sometime on Monday. Stay tuned and be safe at home! 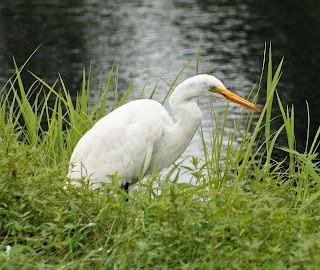 We Are Prepared For Hurricane Irene! Our maintenance program has shifted into a new gear. 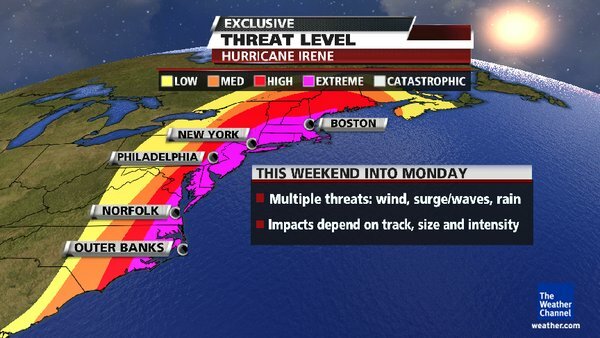 We are, and have been, preparing for Hurricane Irene to make landfall sometime on Sunday, August 28th. We have a written plan in place. There are some things our members may notice over the next couple of days. We are slowly removing some of our susceptible course accessories, ponds are being lowered and course conditions are very firm. Our goal is to be very pro-active before the anticipated event. We want to plan for the worst and hope for the best. 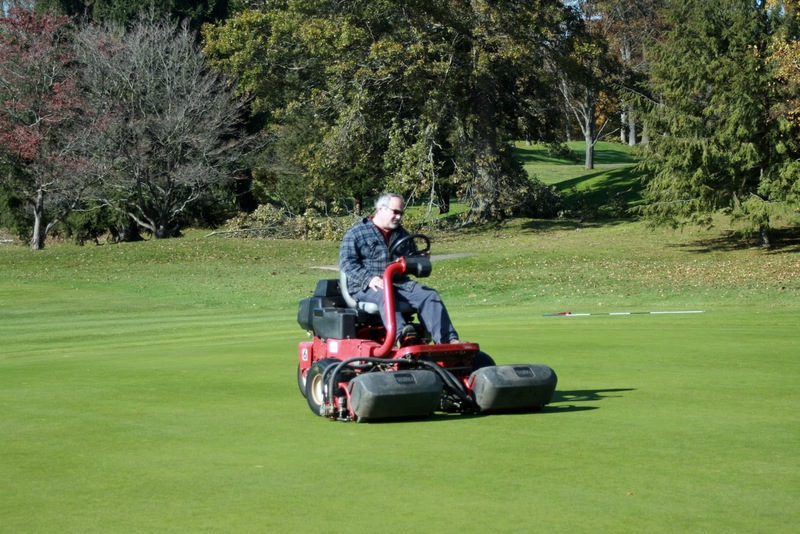 What is the golf course maintenance staff doing to prepare? Contact tree company in advance to make sure we are the highest client priority in case of extensive damage that we cannot safely handle “in-house”. Updated employee phone “tree” has already been instituted. Maintenance staff is on call. We will not put our maintenance staff in harm’s way of hurricane Irene and will make their homes and families a #1 priority. Our advance planning will ensure their success both at home and on the job. I feel confident we have put our team in the best possible environment to survive and succeed, regardless of what Mother Nature will throw at us in the coming days. We are prepared to recover quickly. 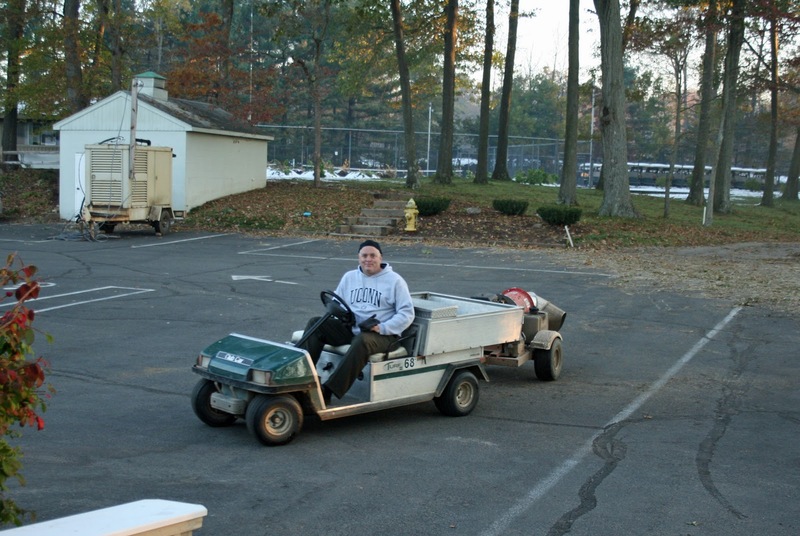 Maintenance staff will be on-site Saturday to mow many areas of the course. This may inconvenience some of our members playing in the Senior Club Championship. Hopefully we can limit this by our creative planning. We want to be prepared for the one foot of rain being forecasted. One foot of rain means we may not be able to mow anything for several days. 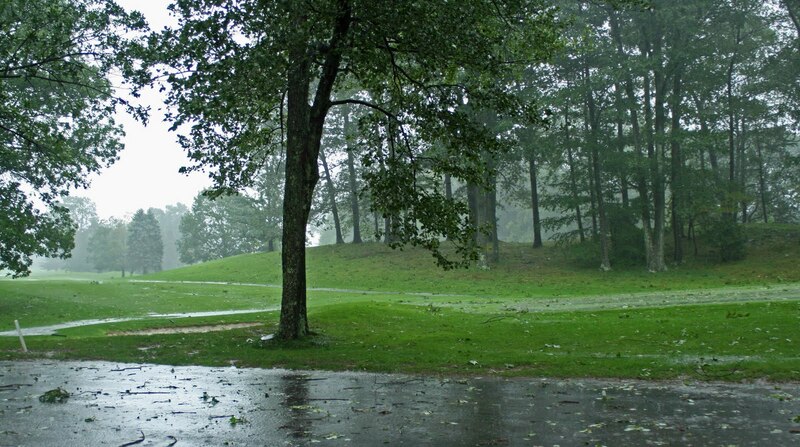 Our goal is to make sure we get the course playable, at a high level, as soon as possible after this major weather event. 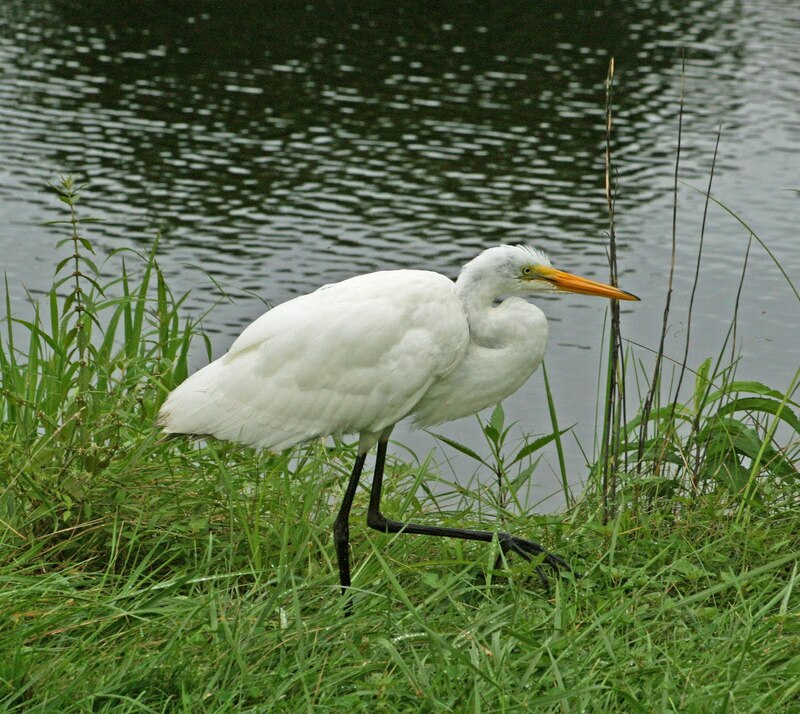 We have also prepared turf by applying Plant Growth Regulators to greens, tees and fairways. This will reduce turf growth by an estimated fifty percent.  My plan is designed to give our maintenance team its best chance at success. While players will make some slight sacrifices with some course ammenities in the coming days, playing conditions will be excellent. We will do our best to have everything back to normal as soon as possible. 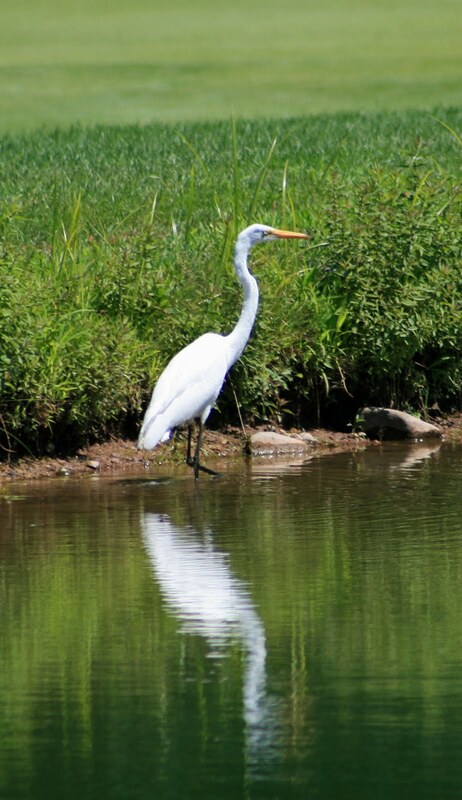 A Great Egret has been Lingering around our ponds on holes 3, 4 , 5, 6 & 7 lately. Especially early in the morning. This majestic bird, which was formerly on the watch list for endagerment, is a beautiful sight. We've seen them before but not very often.